Essentially a simplified version of the 2014 Nissan Rogue, the 2014 Rogue Select is the kind of what-you-see-is-what-you-get compact SUV that leaves everything it’s got at the front door. It doesn’t come with a lot of major surprises, offering itself as is and little in the way of added surprises. It figures that for a compact SUV that doesn’t have a whole lot of optional equipment, the Rogue Select is being offered for budget-conscious owners. For its price (less than $20,000 for the base model) you can make a case that the Rogue Select is a good way to go just so you can say you have a compact SUV in your garage. 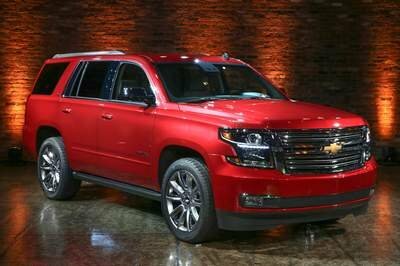 But the other prevailing thought is the extra money you can shell out for other models that have a lot more to offer than the Rogue Select. 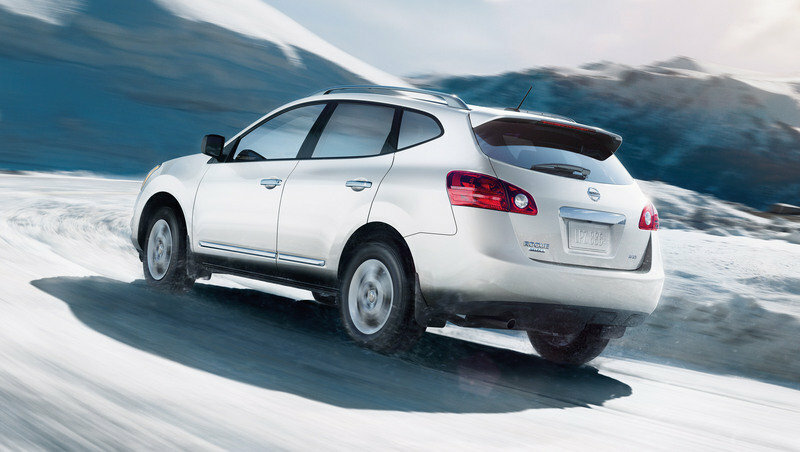 Nissan probably doesn’t mind that thinking since it still has the 2014 Rogue to satisfy those needs. 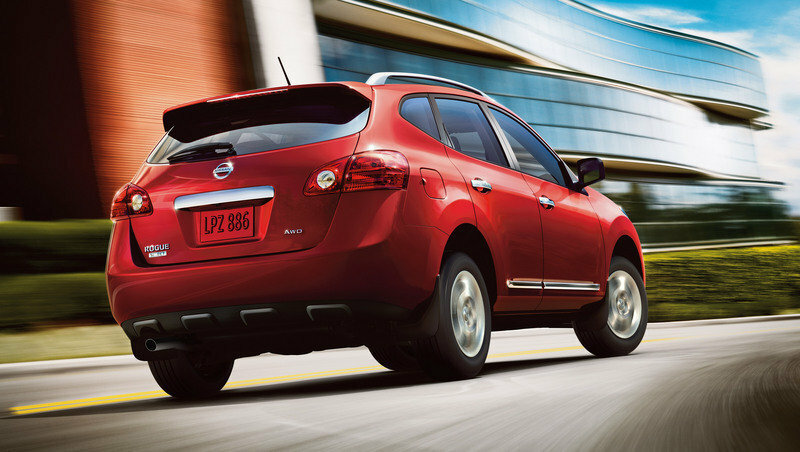 It’s just that in case you’re on a tight budget, Nissan has you covered with the Rogue Select. 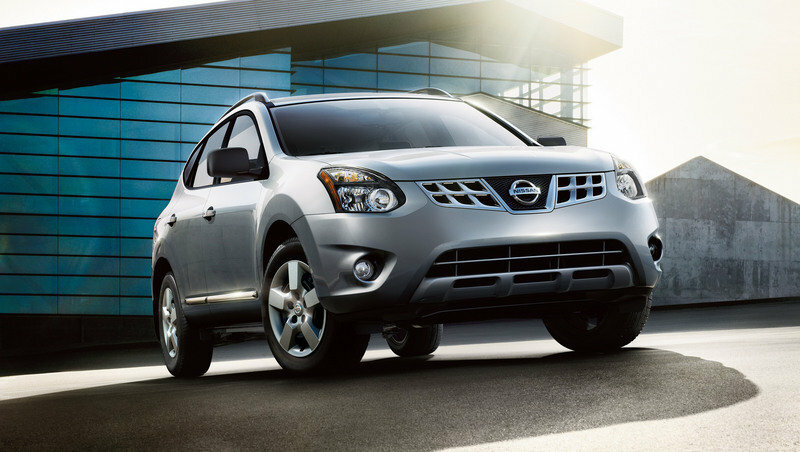 Click past the jump to read more about the 2014 Nissan Rogue Select. The Rogue Select also has a large, sweptback D-Pillar that gives it a sportier look compared to what other compact SUVs offer. The Nissan Rogue Select suffers from the same dated look as a lot of the company’s models outside of the GT-R. Nissan really does need to up its game as far as giving customers vehicle that at least look the part of modern-day models, not recycle ones that looked good 10 years ago. But all isn’t lost, if you look at the bright side of things. For one, Rogue Select does ride on the same platform as the Sentra, giving it handling befitting a car with an SUV’s body. The Rogue Select also has a large, sweptback D-Pillar that gives it a sportier look compared to what other compact SUVs offer. 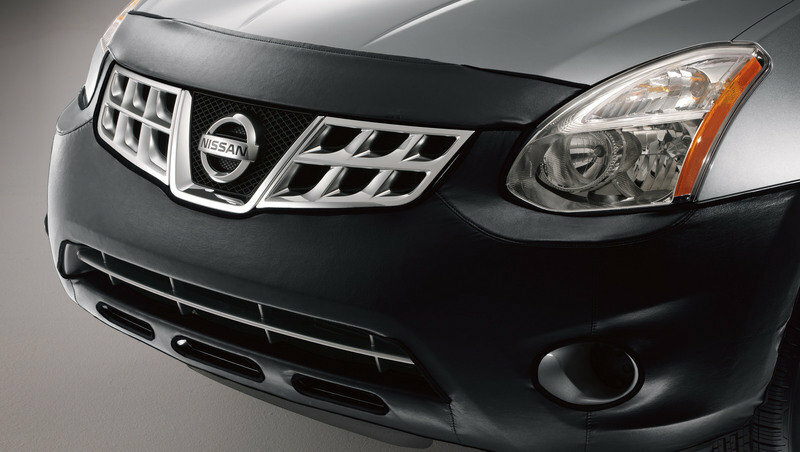 The crisscross radiator grille is also a unique feature to the Rogue Select, something even the 2014 Rogue doesn’t carry. Whether that’s attractive or it’s just a different take on an otherwise lackluster look, that’s your call. But at least Nissan is giving you the chance to choose, right? Lots of soft-touch finishes are easy on the eye and the contour-forming front seats feel very comfortable. We’re not gonna bust the Rogue Select’s interior chops too much because expectations weren’t that high to begin with. 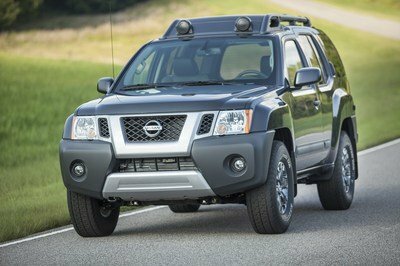 Once you hop inside the SUVs interior, you’ll be treated to a cabin that has Nissan’s simple, straightforward, and attuned to functionality design. Lots of soft-touch finishes are easy on the eye and the contour-forming front seats feel very comfortable. Space also isn’t an issue with legroom and headroom space good enough to allow comfortable seating even for tall drivers. But that comes at the expense of the rear space, which isn’t big enough to begin with. Push back the front seats and you’re looking at a cramped space to sit three adults. The Rogue Select’s cabin also has adequate storage space, thanks to a larger-than-usual glove box and a cargo area just behind the reat seat that’s going to take a lot of investigative might to find at first search. Power is alright, but not enough to reach what other models have at their disposal. The Rogue Select comes with a 2.5-liter, inline-four engine that produces 170 horsepower at 6,000 rpm and 175 pound-feet of torque at 4,400 rpm. No performance numbers were given, but seeing as the output is similar to the 2014 Rogue, that could also translate to a 0-to-60 mph time of 7.8 seconds to go with a rather pedestrian top speed of about 118 mph. Here’s where it gets good for the Rogue Select compared to the standard Rogue. 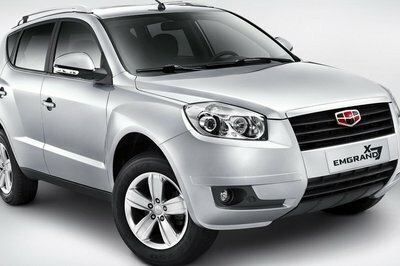 Essentially, this model is cheaper with a starting price of $19,990 for the S FWD model. Compare that with the $22,490 base price of the 2014 Rogue and you’re looking at a savings of $2,500. Even the S AWD (note: all-wheel drive, baby!) model of the Rogue Select is cheaper at $21,340 than the base Rogue. Here’s where it gets hairy for the Nissan Rogue Select. It belongs in a market that not only lets it compete against its own (the 2014 Rogue), but it also has to deal with a dreamy compact SUV in the Toyota RAV4. Boasting off a fresh new look that has received plenty of thumbs-ups, the RAV4. The new RAV4 is not only redesigned both inside and outside, but it also receives new in-cabin technologies, a fuel-efficient four-cylinder engine, new six-speed transmission and new safety features. The engine, in particular, is similar to what the Rogue Select has: a 2.5-liter inline-four that produces 176 horsepower and 172 pound-feet of torque. Essentially, you’re splitting hairs with the performance, although you can make a case that even with similar output, the Rogue Select doesn’t look nearly as attractive as the RAV4. 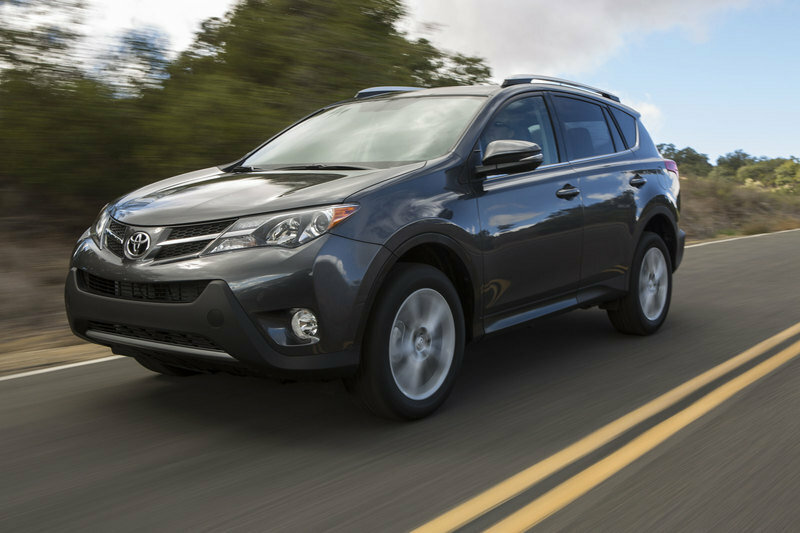 It is cheaper, though, which Toyota should be mindful of as the RAV4 starts at $23,300 for the LE FWD grade and goes all the way up to $28,410 for the Limited AWD model. If the Nissan Rogue Select is already sweating the presence of the Toyota RAV4, it’s probably getting nightmares just thinking about having to compete against the Ford Escape, aka "America’s best-selling SUV". It’s not helping the Rogue Select’s cause to know that Ford recently gave the Escape a fresh upheaval of its own last year, adding in as much as 11 new exclusive features and an improved fuel economy, to go with its improved looks that really speaks to what young buyers are looking for. The Rogue Select does "out-pony" the Escape, but just like the RAV4, the difference is pretty miniscule with the Escape boasting of a 168-horsepower and 170 pound-feet of torque output under its hood. 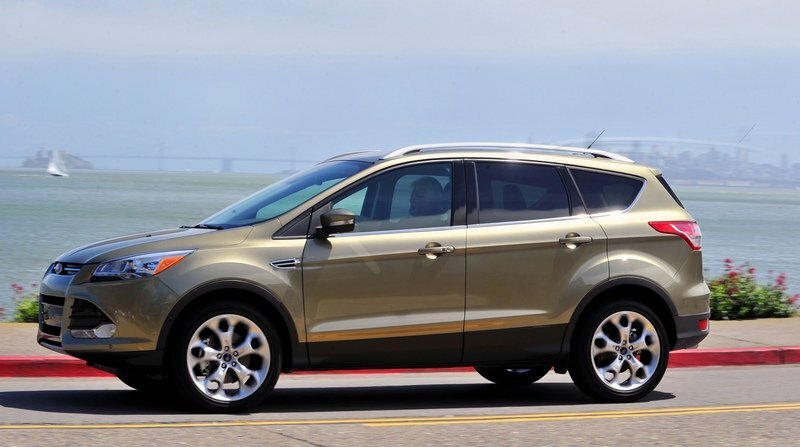 The base model of the Escape, the S, retails for $22,700 with the top-of-the-line Titanium trim fetching $29,100. 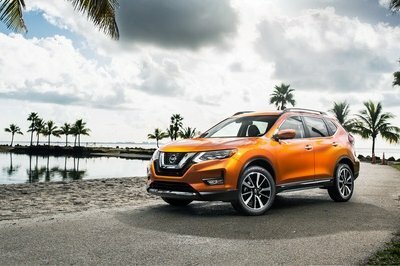 The 2014 Nissan Rogue Select isn’t going to blow you away with its all-around capabilities, but if you’re in the market for a compact SUV that’s spacious, affordable, and has the added treat of being an all-wheel drive, you’d be hard-pressed to find one that offers what the Rogue Select has at its disposal. 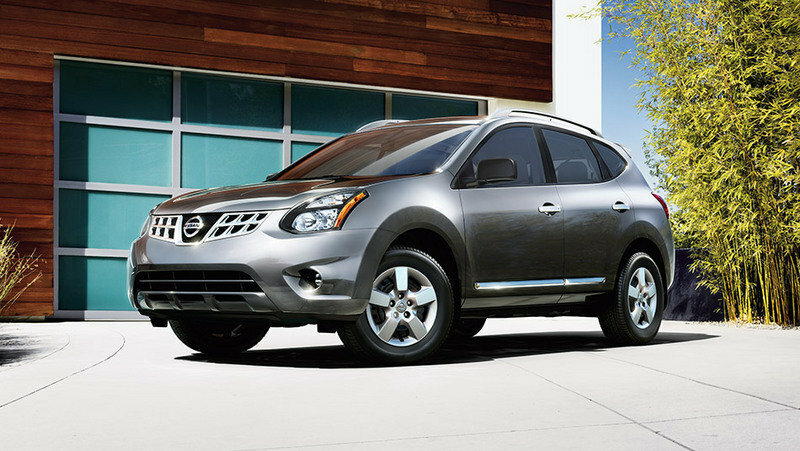 With the popular Nissan Rogue totally redesigned for 2014 with more features and amenities, Nissan is also offering a simplified lineup of the previous generation Rogue under the new "Rogue Select" nameplate. Designed to appeal to more price-sensitive buyers, Rogue Select is available at a starting Manufacturer’s Suggested Retail Price* of under $20,000 USD. The 2014 Rogue Select is offered in just one trim level – Rogue Select S – in a choice of front-wheel drive or all-wheel drive. Just one equipment package is available, the S Convenience Package, with rear spoiler, roof rails, cruise control, RearView Monitor, 4.3-inch color audio display, SiriusXM Satellite Radio (SiriusXM subscription required, sold separately), Bluetooth® Hands-free Phone System and more. The 2014 Rogue Select, like the all-new 2014 Rogue, is designed to satisfy both the functional needs of the buyers and their emotional needs – a combination that has made Rogue the second best-selling vehicles in the Nissan lineup. 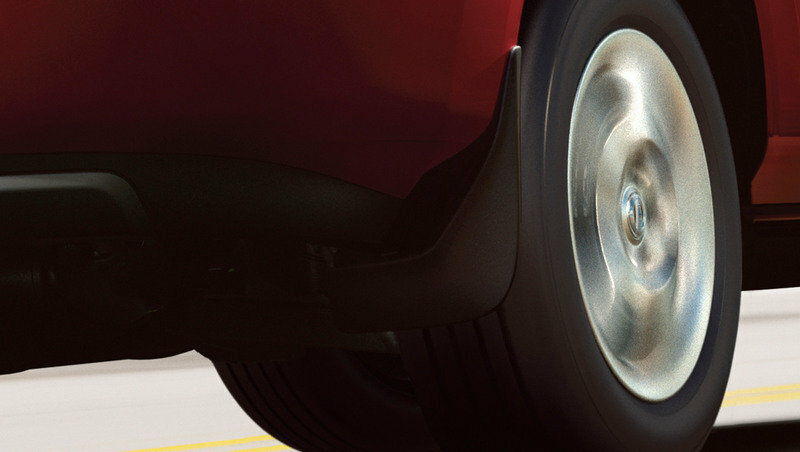 Rogue Select’s exterior styling includes dynamically arched forms and powerful rear shoulder lines. 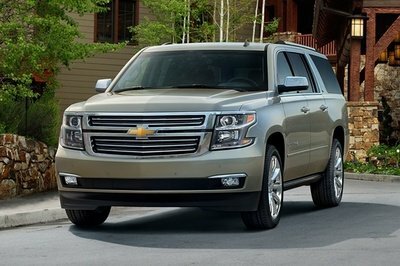 It features halogen headlights, door side guard molding with chrome accent trim, rear liftgate with fixed glass and large front door openings for easy ingress and egress. A rear spoiler and roof rails are available with the Convenience Package. 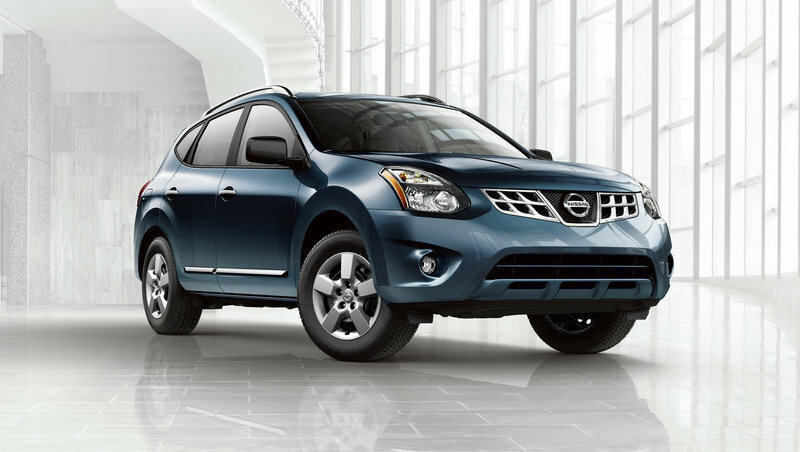 Every 2014 Rogue Select is built on Nissan’s proven "C" platform, which provides high body stiffness with extensive use of high-strength steel. Rogue Select features a 105.9-inch wheelbase and 183.3-inch overall length, providing ample rear seat proportions. Rogue Select’s interior includes the versatility provided by a large 57.9 cubic feet of cargo space (with 2nd row seat folded down). The interior includes a driver-oriented cockpit, 6-way adjustable driver’s seat, 4-way adjustable front passenger’s seat, seatback storage pockets, air conditioning with microfilter and versatile center console with a lid, coin and cell phone holders. 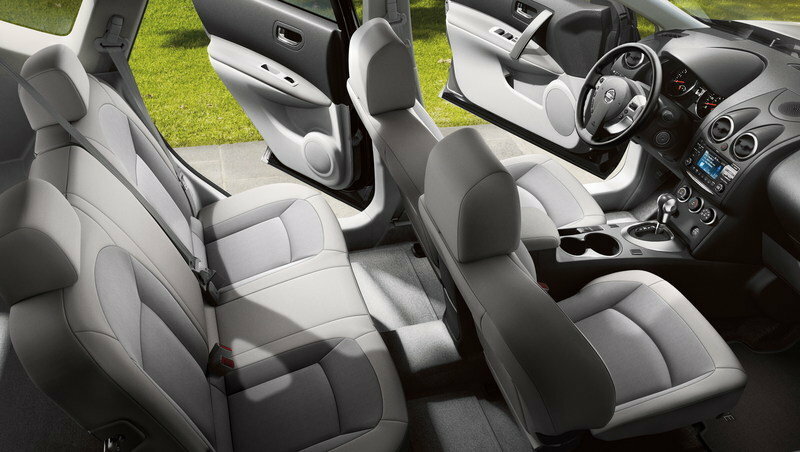 A rear 60/40 split-fold bench seat and oversize glove compartment are also standard. Available features include the RearView Monitor, a 4.3-inch color display audio system with USB interface, Bluetooth® Hands-free Phone System, SiriusXM Satellite Radio (SiriusXM subscription required, sold separately), cruise control and steering wheel-mounted audio controls. Engaging performance is provided by Rogue Select’s standard QR25DE 2.5-liter DOHC 16-valve inline 4-cylinder, which is rated at 170 horsepower and 175 lb-ft torque. The engine is tuned to provide ample torque in the low-to-mid rpm range for smooth, powerful acceleration and quick initial response from a standing start. The engine features an aluminum block, 9.6:1 compression ratio and large diameter intake port and exhaust manifold. Every 2014 Rogue Select comes with a standard Nissan Xtronic CVT®, combining smooth, linear and responsive acceleration feel with high-efficiency operation. Rogue Select’s CVT utilizes Adaptive Shift Control and a high-speed central processing unit. Its advanced shift control offers the optimal shift pattern according to the driving situation and driver’s demands, using input from driver operation, vehicle speed, road gradient, turning condition and acceleration to adjust shifting patterns accordingly. A "Sport Mode" switch is standard.